[Jesus said,] "I have other sheep, too, that are not in this sheepfold. I must bring them also. 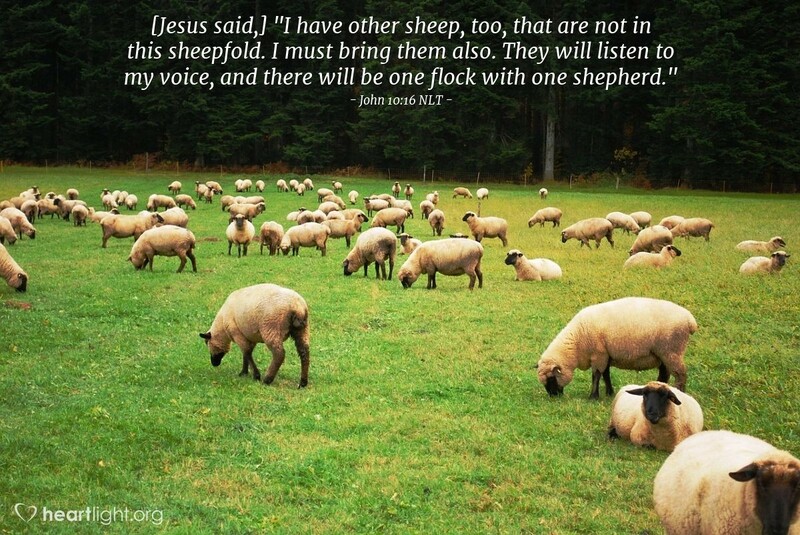 They will listen to my voice, and there will be one flock with one shepherd." Jesus didn't come to save only a few. He didn't die just for one race or one people. He came for the entire world. His desire is for us to lay aside our differences and find our peace in him. When we listen to his voice, when he is our one true shepherd, then we can lie down in peace and trust one another.